One of the most common concerns we hear from RVers is that of buying an RV sight unseen. And it makes a lot of sense. If you’re used to dealing with companies who you feel don’t care for you and only have the bottom dollar in mind, then naturally you’ll feel this way. But the good news is, here at Vantastic Vans we truly believe in putting the customer first. Our team has decades of experience serving customers. Our ultimate goal is to ensure you find the right used camper van for your needs, not the one we want to sell. We protect all our customers with our guarantee on all our RVs. 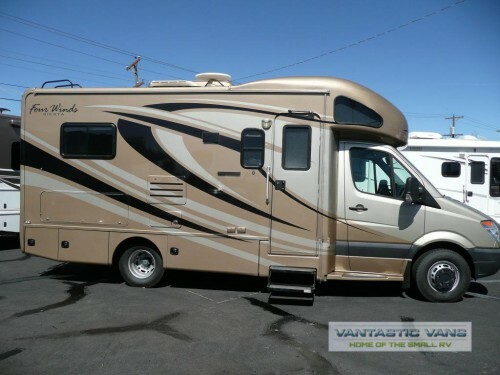 When you shop at Vantastic Vans you get a guarantee that you will love the RV you purchase and be satisfied with your decision. Over 90% of our customers are from word of mouth and repeat business. That isn’t an accident. It’s because we strive to offer only the best to every person who steps through our door. Here is how we ensure you get the best experience possible and are satisfied even when you buy sight unseen. We post photos with exceptional detail for every vehicle we sell. This includes a complete description. We also invite customers to give us a call and then give us the third degree by asking as many questions as they can think of. Hang up and think of something else? Give us a call back. We are here for you. If there are additional photos you want us to take just ask and we will be happy to accommodate your needs. Our team inspects all appliances and systems to ensure not just that they function and operate, but also that they have some life left in them for you. No one wants to replace a fridge right after buying an RV. Each vehicle is inspected both inside and outside and we guarantee that any RV you buy from us will ride and drive appropriately. If the vehicle arrives and it isn’t as described then the deal is off. Simple as that. When you decide to purchase we can fly to to Albuquerque, pick you up from the airport, and take you to the sales center to orientate you with your new RV. Or, we can drive to you and then provide you with orientation. Choose what works for you! Listen, shopping for an RV isn’t easy. It’s extremely time consuming. but the payoff is amazing! You get a lifestyle of freedom, fun, and adventure. Check out our selection of pre-owned travel vans to learn more or contact us for more information.